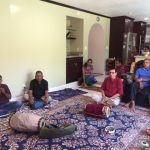 Bay Area GOD Chapter conducted a special Akanda Nama Satsang on Saturday, April 6th 2013 at the residence of Sri.Rajesh and Mrs.Nithya Rajesh in Cupertino from 11am-5pm. 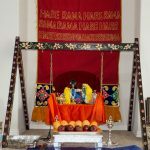 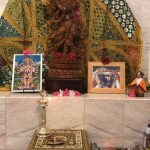 Akanda Nama Sankirtan was performed from 11am till 4pm and was followed by rendition of Kunti Stuti and Dhyana Slokas from Srimad Bhagavatham. 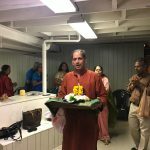 The devotees then sang kirtans composed by Sri Swamiji and everyone participated enthusiastically all throughout the satsang. 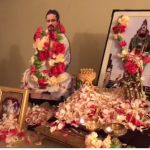 Devotees from Redding, CA also took part in this special satsang. 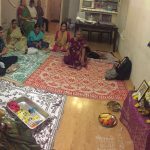 About 20 people attended the satsang.